It's The Year of the Dog and Overwatch is live with their Lunar New Year event that will last from February 8 to March 5. 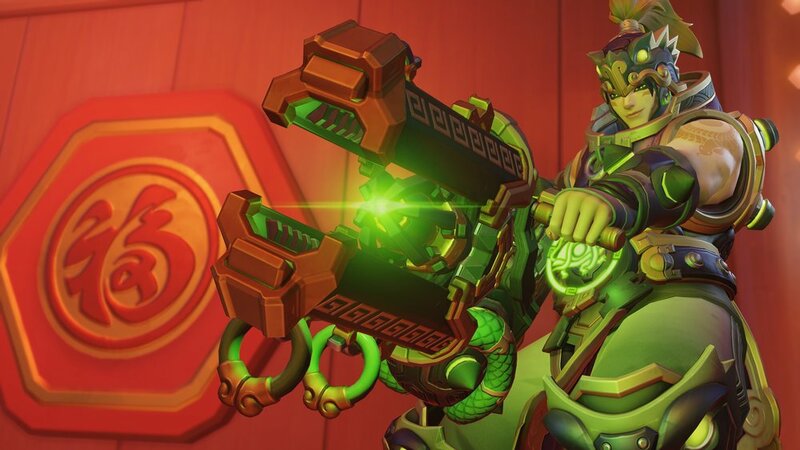 The event adds over 50 new seasonal cosmetic items including legendary skins like Red Pheonix (Zhu Que) Mercy, Black GTortoise (Xuan Wu) Zarya, White Tiger (Bai Hu) Genji, and Black Lily Widowmaker. A new feature went live together with the Lunar New Year event. Players will now be allowed to change character skins at the start of each match using "Select Skin" drop down menu found in the Hero Select Screen. Bug fixes and changes to the game are live as well. You can read up on all the changes below. Developer Comments: Previously, Reaper’s Death Blossom would target barriers but not the players hiding behind them. This change will make it more effective against shields and consistent with how other auto-target abilities work (e.g. McCree’s Deadeye, Symmetra’s Sentry Turret).